In Carbell Kiln, the car is movable and the Kiln hood will go up & down. 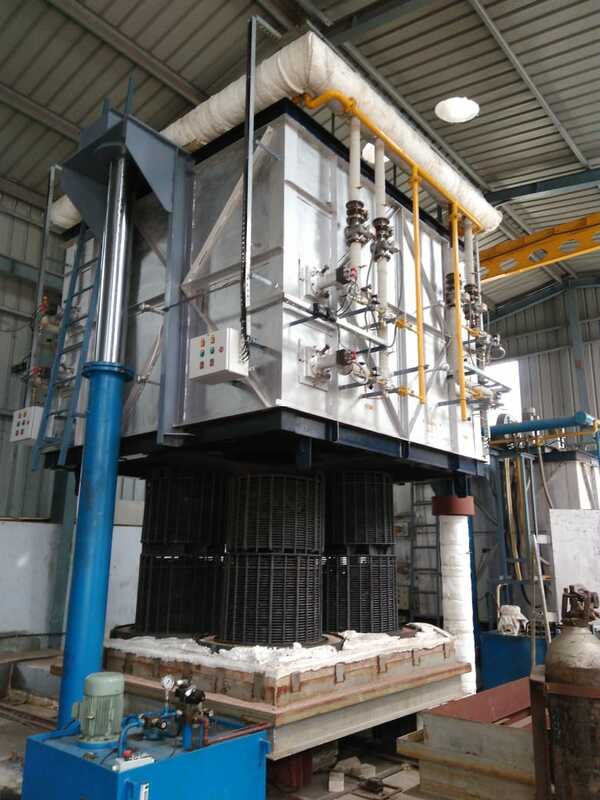 The advantage is that there will be perfect sealing between the kiln hood (which moves up and down through hydraulic cylinders) & the kiln car. 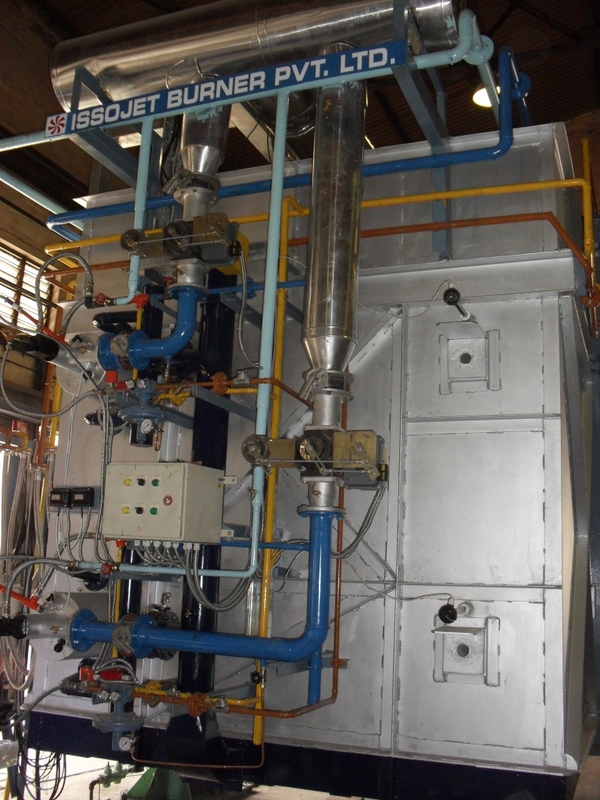 The range of kiln temperature is between 700ºC to 1800ºC. 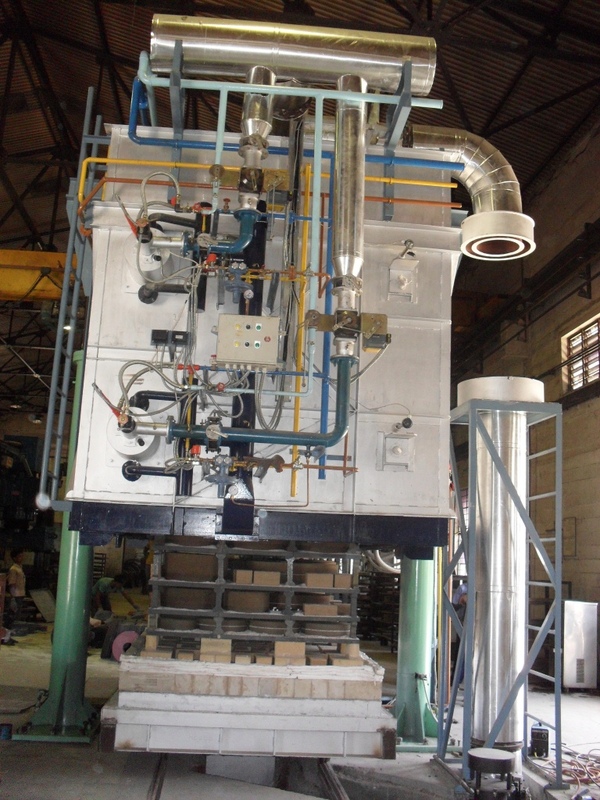 All type of fuels like furnace oil, diesel, kerosene, LPG, natural gas, producer gas can be used for firing. 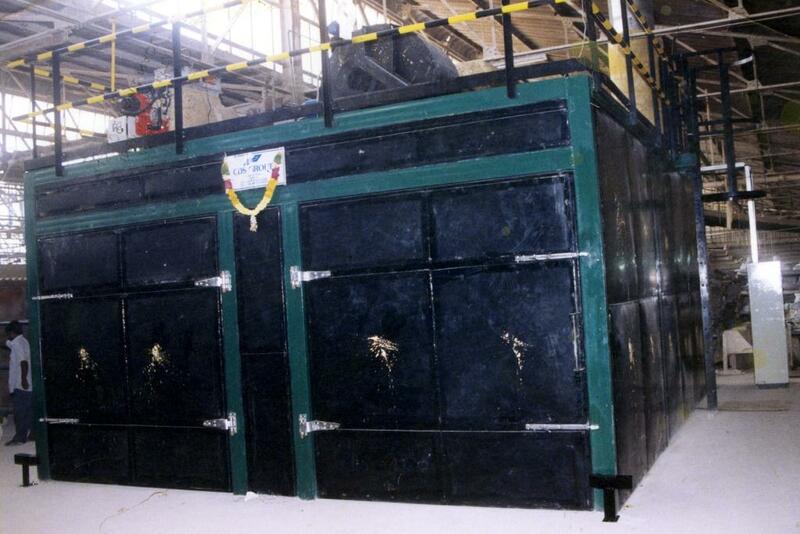 Carbell Kiln is down draft kiln and the kiln pressure can be maintained accurately. 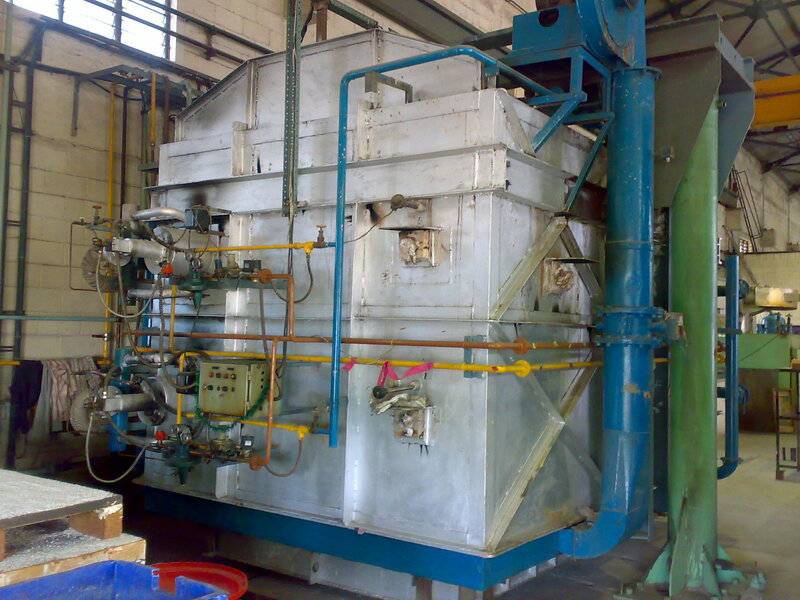 This type of kiln is used for batch type production. For car movement gear motor / winch arrangement can be used & for hood movement hydraulic cylinder is used. Carbell Kiln is user-friendly and using SCADA all the temperature-time graph and all control parameters can be monitored. 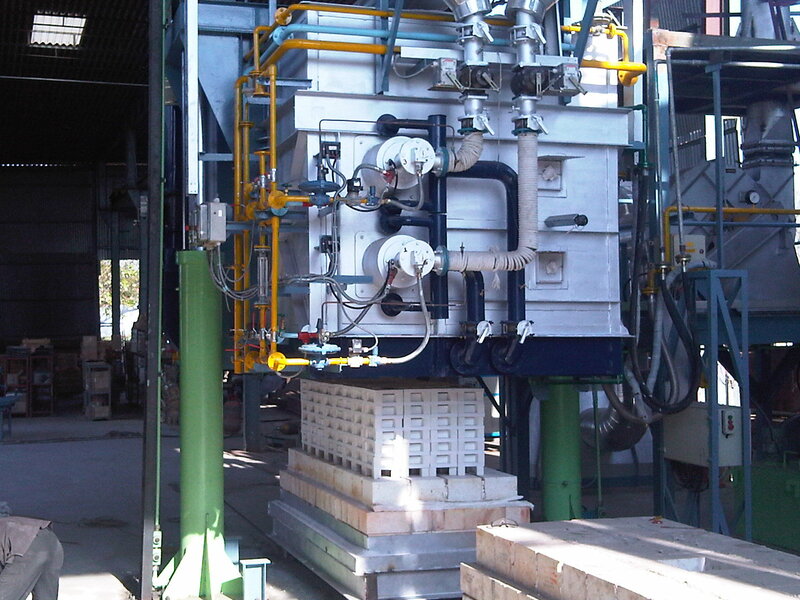 Using PLC, Carbell kiln is fully automated for the easy usage of the customers.